As 2018 finally draws to a close, there are many homeowners and business owners who want to get a fresh start in 2019. One way that you can get a fresh start is to make sure that you’ve fixed any plumbing issue that may be lurking in your home or office. If you’re looking to fix any of your plumbing issues, but you don’t have the time, or you don’t know how, fear not. From Potts Point to Peakhurst, plumbers all over Sydney are always on hand to help you. Sometimes, it’s the smallest issues with plumbing that are the most annoying. Issues such as broken pipes or leaking taps, if left unchecked, can evolve from a small annoyance into a massive problem, resulting in great financial costs. Whether it’s in the home or in the office, if you find yourself in need of general plumbing assistance, it’s best that you contact your trusted plumber so that they can help you. In both the home and the office, one of the most sinister plumbing issues are blocked drains. Blocked drains are an inconvenience by themselves, and they can lead to many other plumbing problems down the track. However, there are some plumbers who have become dedicated to clearing Sydney’s blocked drains, incorporating jet blasting into their repertoire of procedures. Jet blasting consists of using a high-powered pressure cleaner that comes with special hoses and nozzles that are designed to make their way through drains and blast away any blockages that they come across. As well as this, many plumbers also have drain cameras in their arsenal of plumbing machinery, allowing them to find out just what exactly is causing your blocked drains. As the new year is the best time for fresh starts, there will be many homeowners and business owners who will want to equip their bathrooms with the latest styles. In order to achieve a professional result, it’s best to hire professionals to get the job done. Across Sydney, there are plumbers and bathroom renovation companies who are ready to work with you to bring you bathroom renovations that are tailored to your needs. 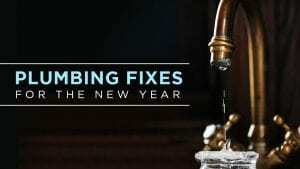 These are just some of the ways that you can make sure your plumbing gets the same fresh start as you do during the new year. If you’re looking for an experienced plumbing team to deal with blocked drains, renovations or general plumbing problems, talk to Plumbing Central Sydney. We provide plumbing solutions, from Hurstville to Holroyd, that are tailored to your needs and your budget. If you’d like to learn more, give us a call today on 0410 011 999.